It is important to know which muscles move the scapula because many shoulder problems actually arise from issues with the scapula and not from the gleno-humeral joint (the primary shoulder joint). The erector spinae muscle group attaches to each of the vertebrae, the skull and pelvis with some small slips attaching to the ribs. The rhomboids (rhomboid major and rhomboid minor) both attach along the medial border of the scapula and cross on an upward diagonal to attach on the spinous processes of the vertabrae. The Subscapularis attaches along the anterior surface (the underside) of the scapula and insert into the upper humerus. The Trapezius attaches along the spine of the scapula and insert into the skull, vertebrae and nucal ligament. 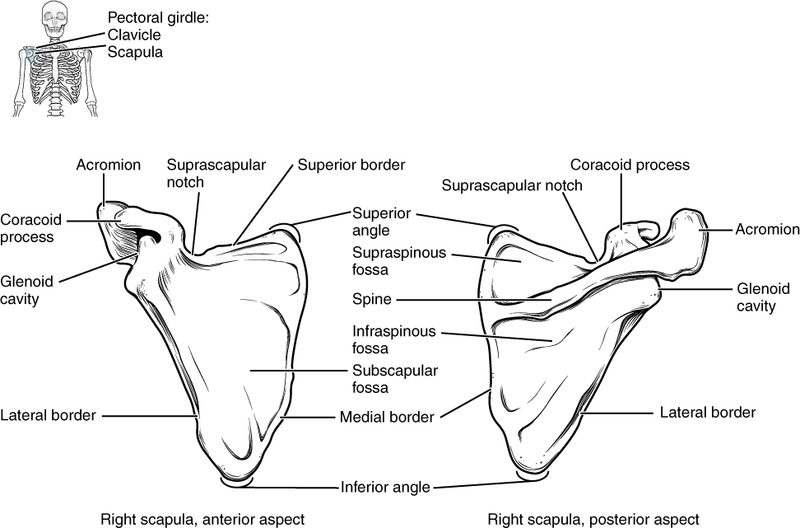 The Seratus Anterior originates along the medial border of the scapula but on the anterior surface or underside. It inserts into the 1st to 8th ribs at the side of the body. Next Next post: Which is not a rotator cuff muscle?